We are a growing company based around Exeter in Devon and owned by business partners Christie Palfrey and Kevin Sellwood. Kevin has been an ADI since 2007 and Christie qualified in 2014. We are ambitious to grow the driving school and we currently have several people training with us to become instructors as well as one franchisee, Lisa, already working with us. There is a range of training options that we offer. Both Christie and Kevin are instructor trainers, Kevin is ORDIT qualified and Christie also will be soon. Training is available for all three parts of the qualifying process or just individual parts. We have an attractive training package reflecting the new Part 3 test coming in October 2017 and we are flexible in how you pay for your training with a range of options available. We are looking to grow the driving school so we can offer positions in the company to those we feel would fit in with our philosophy of how we train learners. ‘Rescue’ training is available for those who feel they have not been given an adequate standard from their training provider, a comment we sadly hear too often. 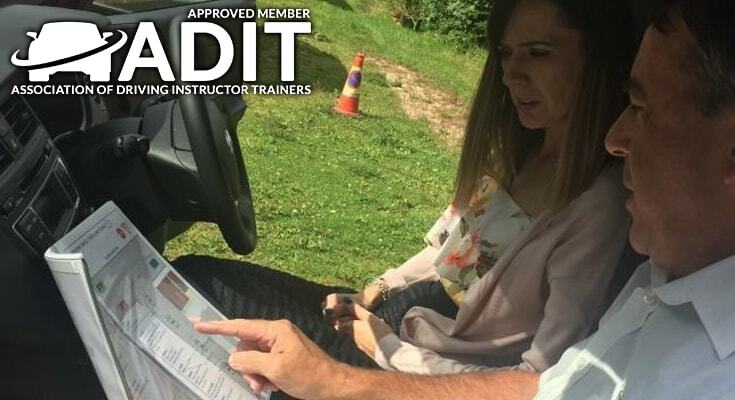 A local trainee instructor (PDI) very recently came to us for help as she had been let down by her training provider and we managed to get her through her Part 3 test so that she could begin her new career. We also provide training for current ADIs for the Standards Check. Recently we have successfully helped an ADI of 23 years standing who had failed two standards checks so was on his ‘last chance’ as well as a newly qualified instructor who had received little or no support from the national company she was with at the time. We believe firmly in a ‘client-centred’ approach to all aspects of training – with those who are training to become instructors and with our learners. We keep ourselves up to date with all developments within driver training and we use up to date methods to enhance all training. Should you join us after qualifying we would provide you with regular on-going support, an online diary, free use of our accountant for your tax return and access to our book keeper should you wish to have someone else look after your finances.